I love that more and more brands are making beauty baubles, they're the best way to try out a new product and look ridiculously cute. 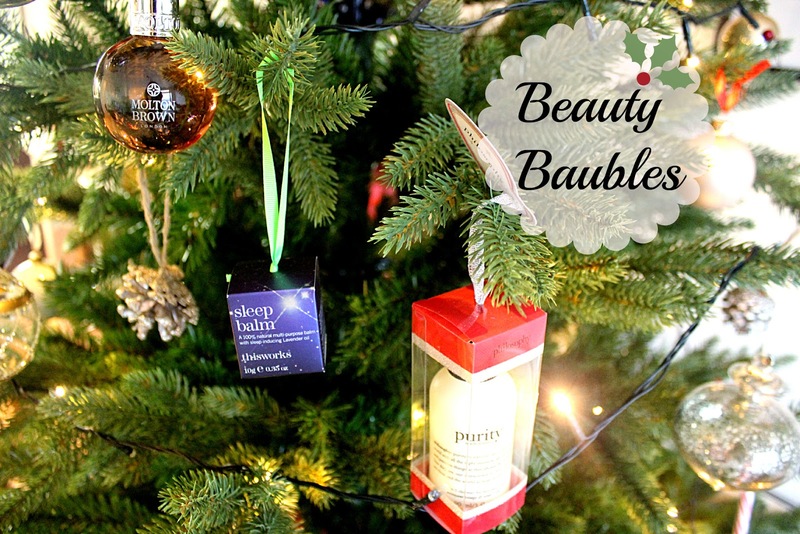 Beauty baubles make perfect stocking or Secret Santa gifts as most of them are below £10. I think my favourite from this year's releases is definitely from Jo Malone, it contains a mini sample of Pomegranate Noir Fragrance and English Pear and Freesia Body Creme.